I get it. You are busy. There’s a lot to do. The people around you are busy. We are all busy (so busy, crazy busy) doing things. I also understand that you are frustrated with our collective busyness … yours, theirs, ours. Why are we so busy? Why can’t we stop talking about it? What are we going to do about it? A busy life distracts us from what we really care about, and who we really care about. A busy life is all about proving ourselves, piling it on, catching up, falling behind, and waking up tired to do it all over again. We deserve more for ourselves and the people and things we love. I was going to give you five creative ways to end your busyness or a list of things to do so you can do less, but in the interest of keeping you less busy right away, let’s cut to the chase. Yes, there are things to do, but I know none of us want to be completely immersed (read: lost) in our busyness. Join us for the live (free) Busy Boycott Challenge. Over the course of three weeks, you will challenge your busyness, and make time for what you really want. 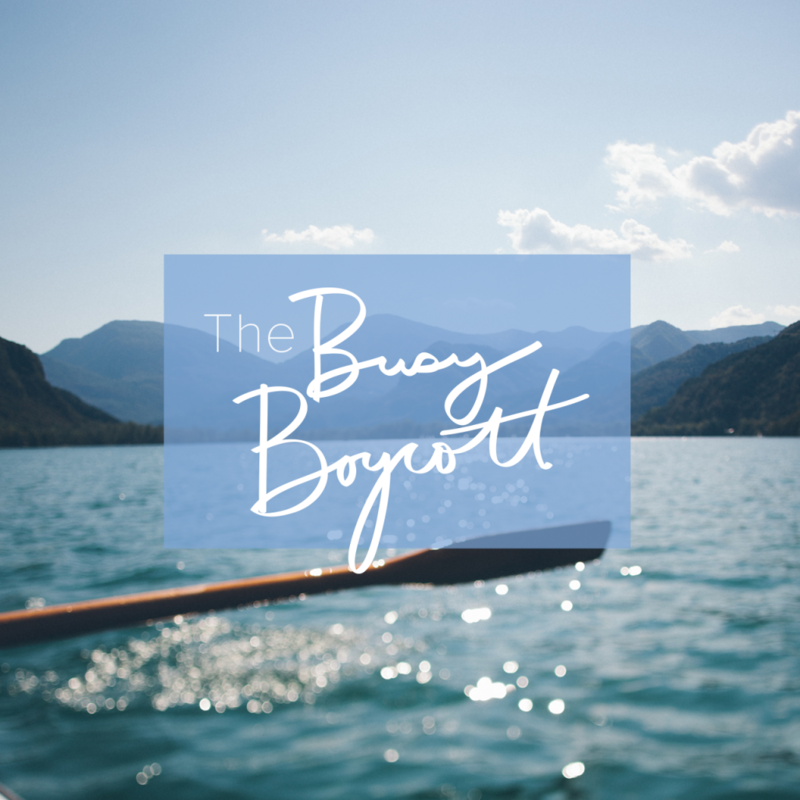 A few years ago, I created the Busy Boycott, a 21-day challenge to get us all thinking about the busyness in our lives and how there might be a better way. This September, I’m hosting a live version of the challenge and I’d love it if you’d join me. Even if you did the challenge before, join for a refresher. Weekly challenges delivered via email and access to the private Facebook Group. Live weekly video-calls with me to answer your questions, with a chance to submit questions in advance + recordings if you can’t make the live calls. Lifetime access to the entire challenge so you can revisit anytime and share with your busy friends (in a really nice, I love you kind of way). When you sign up, you’ll be directed to a Thank You page which will have a link to the Private Facebook Group. You’ll get your first email challenge, another invite to the Private Facebook group and the live video-call schedule on September 10th. It’s up to you, but not more than an hour a week (reading the email, incorporating the challenge, watching the video, participating in the Facebook Group). What’s different compared to the first Busy Boycott challenge? This challenge is live! We are all doing it at the same time, and the live videos (with recordings) are new. What if I’m too busy to participate? Well then you really need this! Join anyway, and even if you can’t keep up with the weekly challenges, you’ll get a PDF at the end of the challenge that includes everything you need to start anytime! The challenge is risk-free, money-free, totally free. Join the Busy Boycott Challenge here, have some fun along the way and create a little time to breathe. I’d love to join to challenge but can’t get either of my email addresses to be accepted. I’m a crazy busy mom and I really don’t like that. I have strong determination to follow any challenge, I just need a right way. so I can’t wait to receive my first email on this Sept 10th. Thank you so much Courtney and this owesome website.